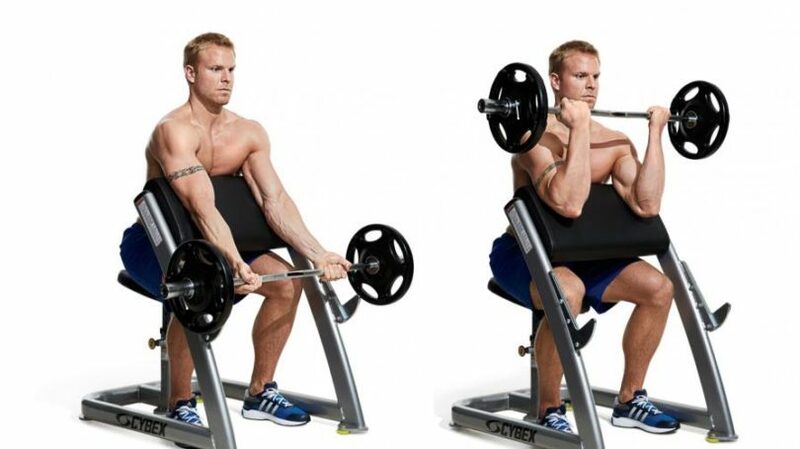 Preacher curls are a fantastic exercise to work your biceps. You can use dumbbells, barbells and even EZ curl bars to isolate your biceps as well as specifically target your brachialis muscle, which can sometimes be a difficult feat. The biceps are the muscles on the front of your upper arms. They’re commonly referred to as an example of “show muscles”, in that they’re typically the kind of muscles that are worked and focused on if someone were to lift weights for aesthetic reasons or vanity reasons. The term “show muscles” is both right and wrong when talking about biceps. Obviously, the human body is a miraculous thing and everything has it’s purpose and function. If something didn’t have a purpose, it just wouldn’t be there. Whilst the biceps are smaller than the triceps muscle, which are often overlooked by vanity trainers, the biceps still fulfil an incredibly important function and are worth training. The biceps assist the back particularly by performing a supporting role in pulling motions. 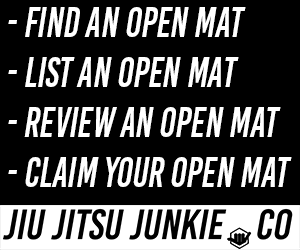 As you might know, pulling motions, such as pulling your opponents lapel, are very common in BJJ. You would pull your opponent if you were using a Thai clinch on them too. In fact, it could be argued that pulling motions and movements are far more common, and thus far more important, than pushing movements in our sport. So it’s even more vital to train your biceps and to do so by the very effective exercise of preacher curls. After years of pumping iron, you’re going to have to lift some pretty heavy weights in order to make progress. Some preacher curl benches are only designed to support light weights. I.e. when you finished with your set and need to set the bar down on the station. With these poor benches, the bench can be toppled over by the excess weight which can cause damage, injury and all kinds of other unwanted issues. Valor Fitness have designed their bench with sturdiness in mind; the tough, steel frame can support heavy weights, of up to 250 pounds, for long period of time without said frame giving on or falling. If you’re new to lifting you might not know, but it’s incredibly unlikely that you’ll ever be able to lift more than 250 pounds in a preacher curl station, or with any isolated bicep exercise, so you’re pretty much set for life with this bench. This bench comes complete with an arm pad that is tilted at the perfect angle to get a good workout on your biceps. Angle of the pad is sometimes an overlooked factor but it shouldn’t be. Every single degree counts and you want to make sure that you’re getting the optimal training in and not wasting your time. At the very least, you want to know that you’re getting everything you can possibly get out of your workouts and with this bench from Deltech, you can be confident that you will be. Both the seat and the armrest are fully adjustable to suit your unique body size and type. Preacher curl benches are great, but if you want a bench that has a little bit more to it than just an arm-rest, then this may be the workout bench for you. It comes with the standard preacher curl arm-rest but features an attachable/detachable handle which turns it into a plate-loaded bicep machine. It also features six foam leg developers that can target both the quads and the hamstrings. The back of the bench can even be lowered fully to work as a fully-functional bench, for use with dumbbell press exercises, etc. Everyone has heard of Gold’s Gym. It’s possibly the most famous gym chain in the entire world. But now you don’t have to travel to a Gold’s Gym to use their top-notch equipment, you can buy your own bench and workout in style in the comfort of your own home instead. If you really need your bench to be able to accommodate earth-shattering weight, then Titan may have you covered. Despite the biceps being a small and relatively weak muscle group, in relation to other larger muscle groups, this bench can rack up to 440lb of weight, all-in. The pad has a thickness of 2 inches which is the perfect thickness for maximum comfort for your arms without being too bulky and getting in the way of the movement. The padded area and the bar area can be adjusted in height and are held in place by strong pull-pins and knobs. Even with a fully loaded bar on top, the pins are so sturdy that you won’t have to worry about the bench collapsing in on itself. People come in a wide variety of shapes and sizes so a one, fixed-sized preacher curl station won’t help anybody. Goplus have made it so that every part of the bench can be raised, lowered and adjusted to suit you perfectly. This goes beyond just comfort, using a bench or a machine that isn’t optimised for your particular body can leave you with muscular imbalances, uncomfortableness and even injury/pain eventually. The plastic ends on the bottom of the frame make sure that the bench sticks to the floor and doesn’t move whilst your using it, no matter how heavy the weight you’re curling is. Goplus have crafted a really tough piece of kit that will stand the test of time. Preacher curl benches are a great piece of equipment to have in your home gym and your workout arsenal. Standing barbell curls are great but many trainees feel that they sometimes put too much strain on the front delts for them to be as effective as they could be. The preacher curl station can help eliminate the shoulder focus from the movement, as well as save your back from strain if you have a weak or injured back.